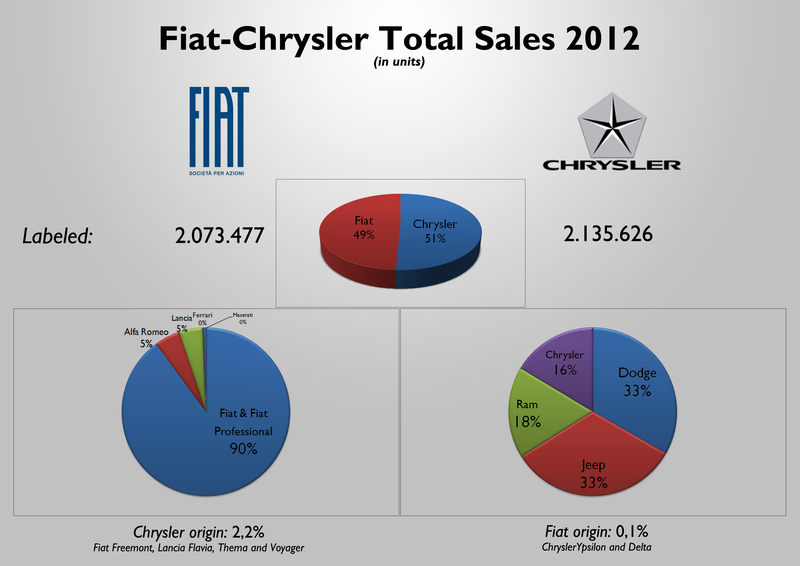 Fiat-Chrysler sold 4,2 million cars in 2012. That’s 6% more than a year earlier. After the several posts regarding the results by brand, models and countries, it is time for a final article that contains general results worldwide. All the information featured in the coming charts is the result of my own data research and analysis. This is not official information. * based on the collected data from several sources. 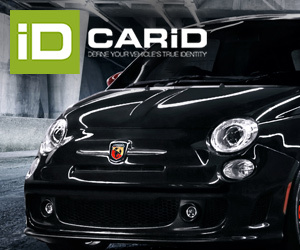 ** Includes Fiat Professional and Abarth sales. 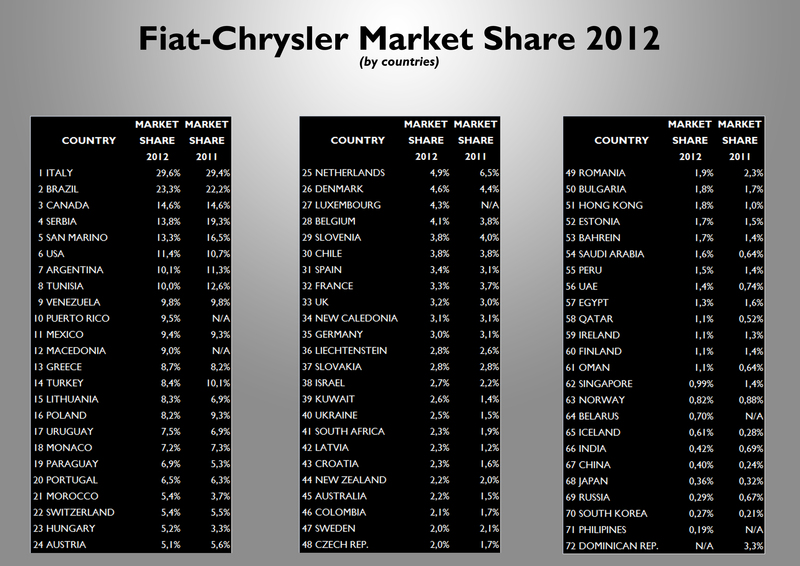 Fiat-Chrysler’s official report for 2012 results indicates that the company sold more than 4,2 million units in 2012. 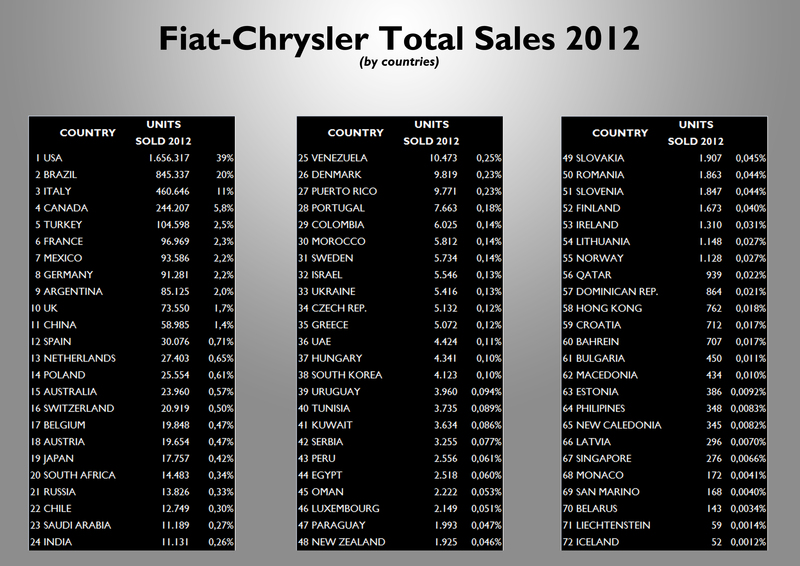 Fiat brand counts for a big part of the sales and is ahead of any other Chrysler brand. Nevertheless the sales are mostly concentrated in North America. Asia-Pacific is still a very small market for the group. 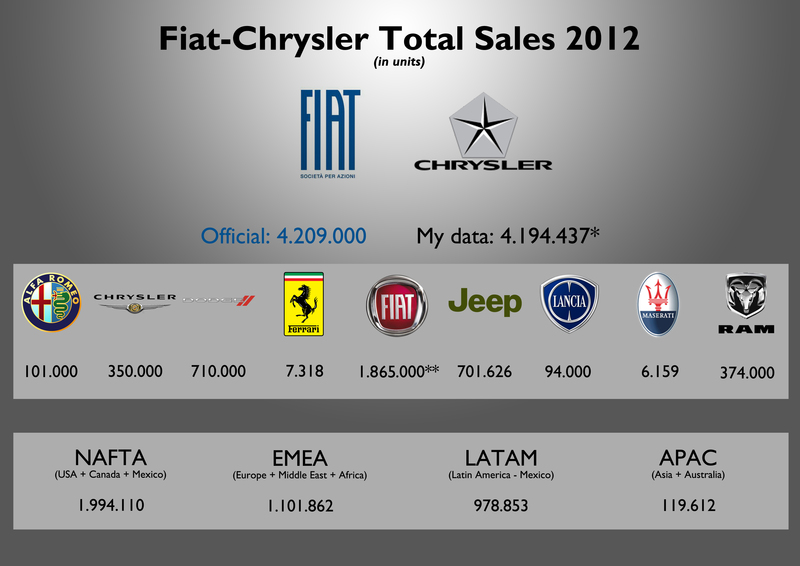 Click on the brand to see 2012 results: Alfa Romeo, Chrysler brand, Dodge, Ferrari, Fiat brand, Jeep, Lancia and Maserati. Source: see at the bottom of this post. 49% of the cars sold by the group had a Fiat, Alfa, Lancia, Maserati or Ferrari logo. This doesn’t mean that they were all genuine Fiat Group cars. From them a massive 90% correspond to Fiat brand cars. 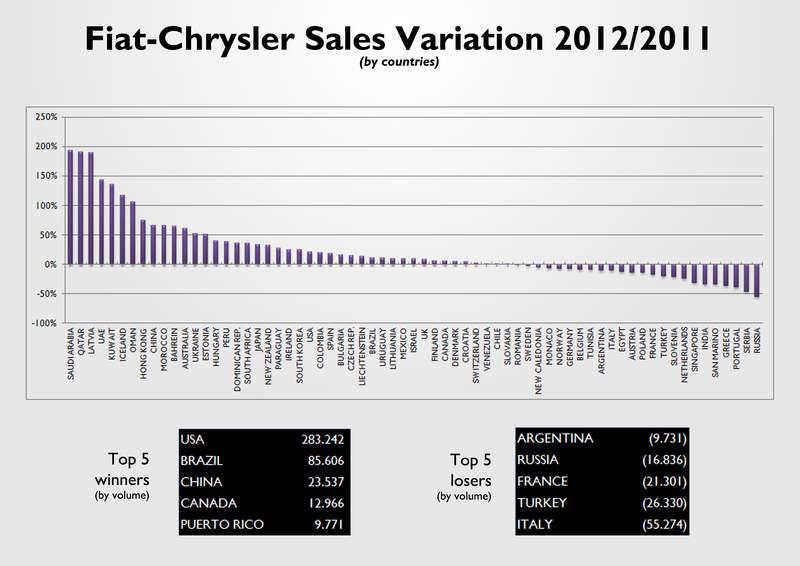 In the case of Chrysler the distribution by brands is much more balanced. This analysis considers the Dodge Dart as a genuine Chrysler car, and the Fiat Viaggio as a genuine Fiat car. Source: see at the bottom of this post. Almost half of total sales took place in USA, Canada and Mexico. Most of them are Chryslers. LATAM is almost at the same level of EMEA. Their distribution by countries is extremely concentrated in one market: Brazil in LATAM and Italy in EMEA. In both regions Fiat takes the lead. 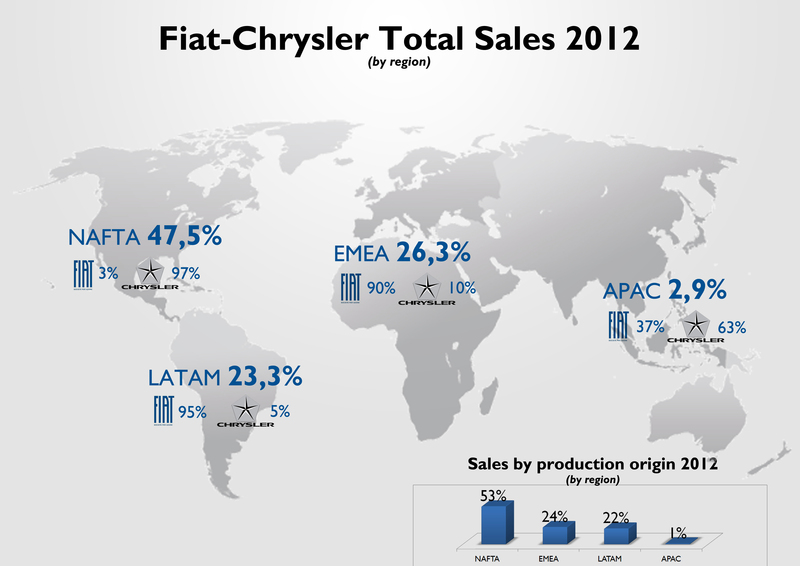 In Asia, Chrysler is more popular thanks to the Jeep models in China and Australia. 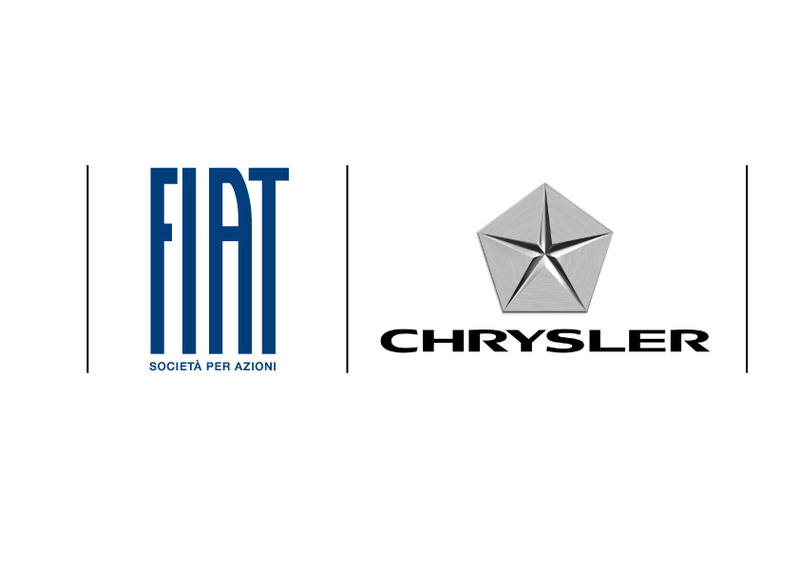 53% of Fiat-Chrysler sales correspond to cars manufactured in NAFTA region. Source: see at the bottom of this post. I was able to gather information for 72 markets. However, the group is present in more countries. USA, Brazil and Italy lead. Turkey, Argentina and China have gained more relevance. Australia, Japan and South Africa are also in a good position. It isn’t good that the first Asian market occupies 11th place. Source: see at the bottom of this post. Italy continues to be the market where the group has the most comfortable position (despite the problems with labor unions and the government). In the ranking it is some how weird to see countries like Serbia, San Marino, Tunisia, Venezuela and Puerto Rico in the top 10 by market share. Notice that the group is relatively strong in the small and mid-size European markets (Greece, Poland, Monaco, Portugal, Switzerland and Hungary). In the opposite side, the group is really unpopular in Asian markets. Source: see at the bottom of this post. This chart shows the sales variation in 2012 compared to 2011 figures. The biggest jumps come from Middle East and Asian markets (where the group is still very unknown). Very bad results in Russia, Serbia, Portugal and Greece. The growth in USA (in terms of volume) was enough to offset the big fall in Italy, Turkey, France, Russia and Argentina. Source: see at the bottom of this post. Many of the information contained in these charts are estimations and may not correspond to the group’s official information. Click here to see 2012 results by brand, countries and models. “despite the problems with labor unions and the government”. Problems created by Marchionne himself. Fiat-Chrysler could invest in Peugeot, so reaching the target of 7 million cars sold each year. I’m going to guess that in 2013 Jeep will have sold more vehicles than Dodge, and will be the #1 Chrysler brand … and that’s a good thing for the company, as Jeep should surely have much better margins than Dodge. In spring I want to buy a Lancia Flavia, white coloured with black seats.